First we had the Oyster card watches and now some other London Underground "fashion" accessories. 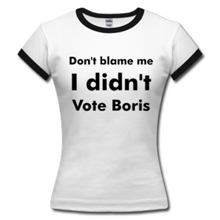 Well, just one accessory, as sadly there's only one in stock. 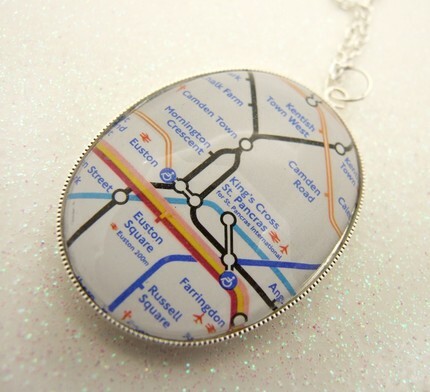 "Handmade cababochon using a map of the london underground. This map has been protected using a plastic clear cab. Cababochon is set in a silver plated mount. I have added a silver plated chain necklace with bolt clasp opening." If anyone has the slightest idea what cababochon is (without looking it up on Google), I'd love to know. Many thanks to Jane Perrone for sending it through. If you'd like to buy the necklace it's only $18 and is probably worth its weight in cababochon.